Why would I need self storage in Stanton, CA? There are a variety of reasons why you might need self-storage in Stanton, CA. How much is a storage unit in Stanton, CA? The cheapest storage unit in Stanton, CA is $47.00 per month. What size storage units do you have available in Stanton, CA? In Stanton, CA we have sizes that range from 5'x5' to 10'x20' to suit your storage needs. How much is it for a 5'x5' storage unit in Stanton, CA? The cheapest 5'x5' storage unit in Stanton, CA is $47.00 per month. Stanton is an ethnically diverse city in California's Orange County, conveniently located 3 miles north of Westminster and 5 miles southwest of Anaheim. With a balance of residential, commercial and industrial districts, Stanton has a distinct character and personality. Annual Summerfest celebrations bring big-name performances, food stalls and children's activities to Stanton. 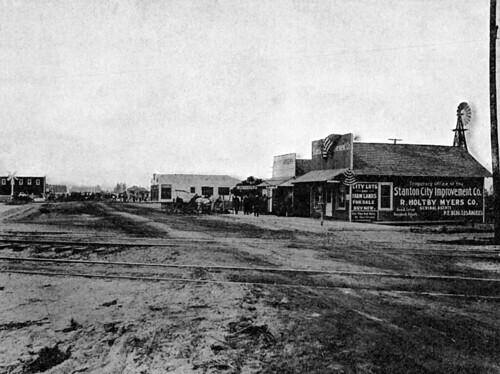 The area where Stanton now sits was part of one of California's largest land grants in the early 1800s, experiencing significant growth with the arrival of the Pacific Electric Railway in 1906. Stanton was incorporated in 1911, but residents made the decision to relinquish the city's status in 1924 so the state could build new roads in the area. Stanton was reincorporated in 1956. Stanton's economy centers on its retail and manufacturing industries. National retailers, including Sam's Club, the Home Depot and Food 4 Less, are among the largest employers in the city. Manufacturing firms All Metals Processing, Custom Pipe & Coupling and ORCO Block also provide a number of jobs in Stanton. The city has experienced significant job growth in recent years, pushing its unemployment rate comfortably below the national average. You also have the option of commuting to several large cities nearby for work, which is a popular choice for many Stanton residents. Public school students in Stanton attend schools that belong to one of four school districts: Savanna Elementary School District, Magnolia Elementary School District, Anaheim Union High School District and Garden Grove Unified School District. You also have the option of enrolling your child in a local private school, with Saint Polycarp School one of the best-known in the city. The Stanton parks system underwent a recent rejuvenation effort, with many of the community parks being upgraded or repaired. There are a number of different parks to visit within city limits, providing plenty of opportunities to enjoy the Southern California sunshine. Veterans Memorial Park is an important landmark in the city, honoring war veterans with a Wall of Inspiration and a large memorial monument. The small park is adorned with many flowering trees, as well as granite blocks bearing military seals. If you have children, one of the most popular parks for young families is Stanton Central Park. Here, you'll find two large playgrounds, including one designed to look like a giant train engine. There's also a water play area to enjoy in the summer months, as well as several sports courts and picnic areas. A butterfly garden provides the opportunity for a close-up experience with some of Stanton's most colorful residents. In addition to the city's several large parks, there are also a number of small green spaces dotted throughout the area. Utilities: Southern California Gas and Southern California Edison are the city's primary energy providers. Golden State Water manages local water services. Garbage and Recycling: Your trash and recyclables will be collected on a regular basis by CR&R and Stanton Disposal Services. Transportation: The Orange County Transit Authority provides public transportation in Stanton and the surrounding cities. There are a variety of housing options in Stanton, ranging from pre-1960 low-maintenance townhomes and compact residential units to a handful of newly-constructed single-family homes. Homes in Stanton have been slowly appreciating over the past several years, and the median home price sits well above the national average. Our lowest priced units in Stanton, CA average $47.00 per month. 61 people have reserved units in Stanton, CA in the past 30 days. There is 1 location within Stanton, CA's city limits.